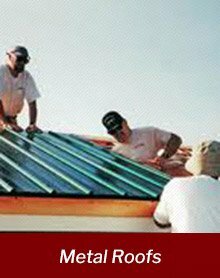 The fully licensed and insured roofing contractors that Columbia, SC and Charlotte, NC to Charleston, SC residents and commercial property owners turn to for quality work at an affordable price. It’s easy to see that your roof plays several critical roles as a structural component of your house. It protects your property’s structure, inhabitants, and possessions against harsh elements, regulates indoor temperature, maintains your home’s structural integrity, and it is a crucial contributor to your building’s curb appeal. As a property owner, how often do you think about your roof? More importantly, how often do you have your roof inspected adequately for deterioration and defects? Neglecting your roof can have severe repercussions over the long run. The adverse effects of improper roof care can have a debilitating impact on your finances or even on your family’s quality of life. If you are like most homeowners, however, routine maintenance and professional repairs may seem like a daunting, inconvenient, and costly prospect. 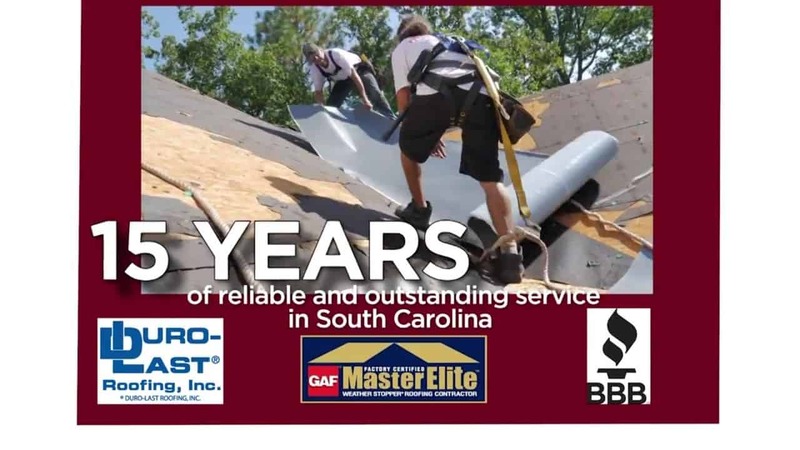 As a resident of Charleston, SC, the good news is that you have access to a renowned team of skilled and certified roofing professionals ready to provide you high-quality roofing solutions. 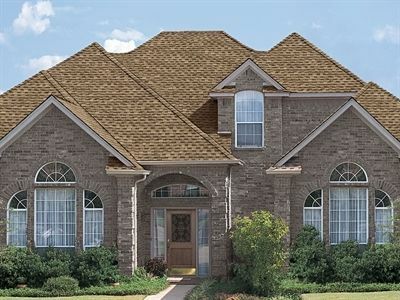 Residential Roofing Countless Roof types including Asphalt Shingles, Tile Roofing, and Metal Roofs. 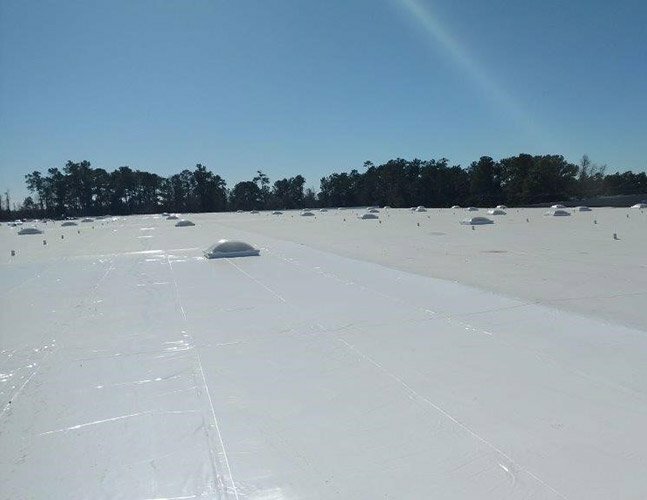 Commercial and Residential Repairs CMS Roofing has provided an unmatched experience with Roof repairs and Roof inspections for our clients throughout SC and NC. 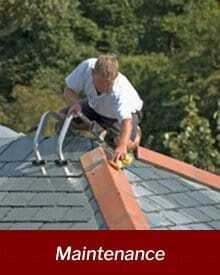 services consist of roof repairs, roofing installations, and routine roof maintenance services. Whether if you have a roof leak or need to replace your roof entirely, we’ve got you covered. We work on commercial, residential, and industrial property roofing, and we can repair or install any roofing materials, including asphalt shingles, metal roofs, flat roofing, tile roofing, and fiberglass roofing. Property owners tend to regard roof repair and installation services with some degree of apprehension –mainly because there is an inherent risk of hiring a contractor who delivers work of sub-par quality or who is not open about their fee structures until after the project is complete. 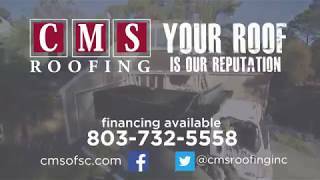 By working with CMS Roofing, however, you eliminate any uncertainty about costs, the project, the completion time, or the materials. Before we carry out a repair, maintenance, or installation project, we will inspect your roof thoroughly and recommend a suitable and cost-effective solution. We will also go to great lengths to ensure that you understand the roofing problem at hand, our proposed solution, and our fee structure before we start doing any work. If your roof has a defect, your first response may be to schedule a repair job. 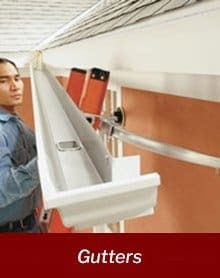 However, you want to avoid the situation where you have to regularly call out a contractor to repair your roof, as it can result in substantial unnecessary expenses. Replacing your roof may be a viable alternative to several repair jobs. The question is, then, whether you should repair or replace your roof. 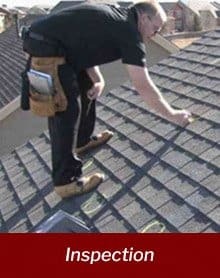 If you not sure if you should repair or replace your roof, contact us for a thorough assessment. Having regular professional inspections of your roof is crucial to learn about existing or potential roofing issues. We recommend scheduling a roof inspection at least once a year or after a severe storm. 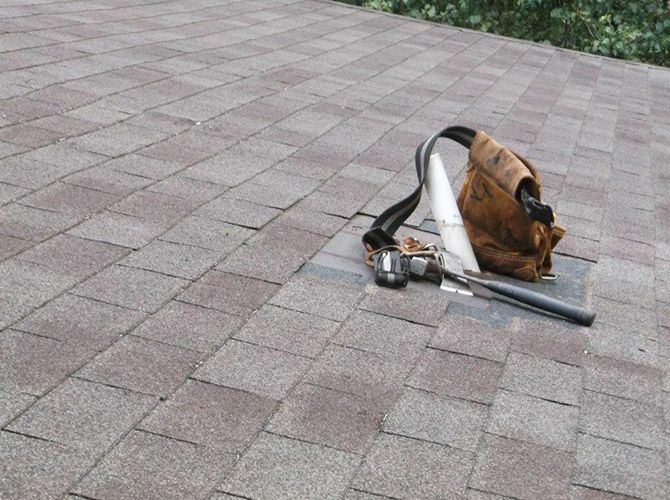 Two tell- tale signs that you need a roof inspection are leaks and drafts. Dark stains or streaks on your ceiling may be an indication that your roof is leaking. Cold drafts can also be an indication of a roofing issue, as your roof plays a crucial role in maintaining indoor temperatures. Symptoms of roofing problems are not always clearly visible. Your roof needs frequent inspection, even if there are no apparent signs of problems. 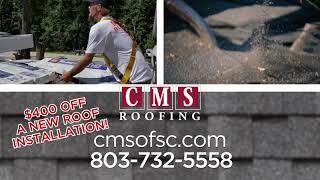 At CMS Roofing, we provide both interior and exterior roof inspection services. An internal roof inspection involves checking the attic for proper ventilation and insulation. We also test for the presence of moisture accumulation and mold growth. An exterior inspection involves climbing on the roof to check for leaks and the condition of flashing, shingles, and the chimney. Upon completion of the examination, we will provide you with a detailed description of your roof’s condition as well as a cost-effective plan to fix any issues that may be present. Every roofing issue is unique— you need an expert with a creative approach to roofing solutions based on years of experience. As professional contractors, our team carries extensive roofing knowledge and excel at finding the most effective courses of action to remedy roofing issues. When you use our services, we can formulate a number of solutions and recommend one that will deliver long-term results, and that is cost-effective. We will only recommend a solution after carrying out a complete roof inspection. 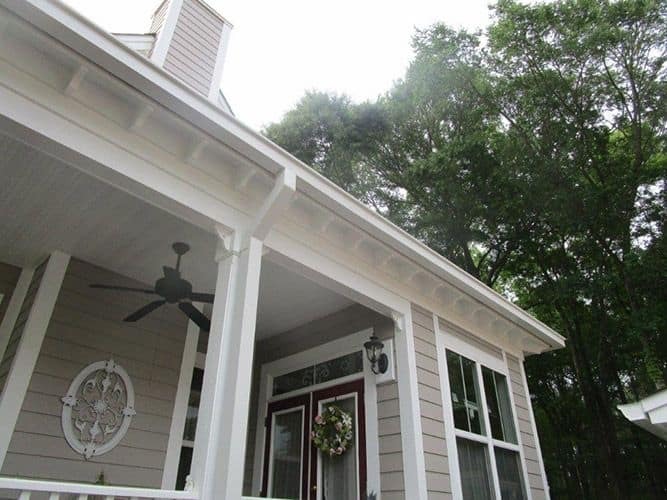 We offer customers the highest quality materials from leading manufacturers like GAF. The results of a roofing repair, installation, or maintenance project depend heavily on the quality of roofing and construction materials. If your roofing contractor uses materials with sub-par quality, you will be facing water damage and structural issues in due course. When you use our services, you have access to the best warranties in the industry. We are certified, so you can rest assured that your warranty will be in effect when you need it. To find out more about the roofing materials and products we provide to clients, contact us today. 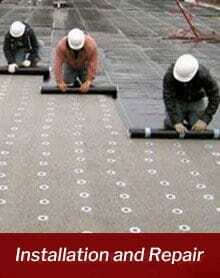 In addition to products, you also need roofing services of the highest quality. 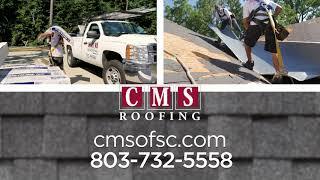 When you have a problem with your roof, you want to know that the contractor will show up at the time that you arranged, that they will conduct their services thoroughly and professionally, and that the project will be completed in time—when you chose CMS Roofing, you can trust you’ll get all the above and more. When providing a roofing service, we prioritize your convenience working around your daily schedule, unique requirements, and the terms of our agreement. We will not walk away from the project if you are not completely satisfied with the results. When hiring a contractor to take care of your roof problems, you don’t just want the project to be affordable—you want the problem solved for the long run. If a contractor doesn’t provide you with an adequate solution, you will have to spend money repeatedly to fix lacking repair work. At CMS Roofing, we always find the most cost-effective and long-term solution to ensure optimal affordability. By emphasizing quality and approaching roofing projects creatively and skillfully, we can save you money without compromising on results. to worry about unpleasant surprises halfway through. Since we are confident in our skills, experience, prices, and quality, we invite you to shop around for the best value in Charleston, SC. When searching around for quotations and estimates, ask contractors about their roof inspection services, the warranties they have on their materials, and testimonials from previous clients. We look forward to personally discussing our services and processes with you. Our objective is to achieve complete customer satisfaction and to provide you with quality and long-lasting roofing solutions that fit your budget. Our friendly, trained technicians have all the tools and knowledge necessary to supply your home or business with fresher air, cleaner water and piece of mind. We pride ourselves not only on our 18 years – and counting – of successful service, but on our uncanny ability to approach each project as though we are completing it for our family. As a family owned and operated business, we believe it’s the most natural and sensible approach. At the end of the day, family is at the forefront of our operation, and we know of no better way to treat you, our customers, than as the core and integral part of our foundation that you are. There’s no problem you can tell us about that is too great for us to tackle, and there are certainly no surprises: Our technicians have seen it all. Our team is standing by to provide you with a comprehensive service. If your roof is old or damaged, you are at risk of structural and water damage to your property. Moisture and mold growth can be detrimental to the health of occupants, and the roof’s ability to regulate indoor temperature which, in turn, can increase your monthly energy bills. Proper roof care can directly improve your family’s quality of life and save you money over the long run. 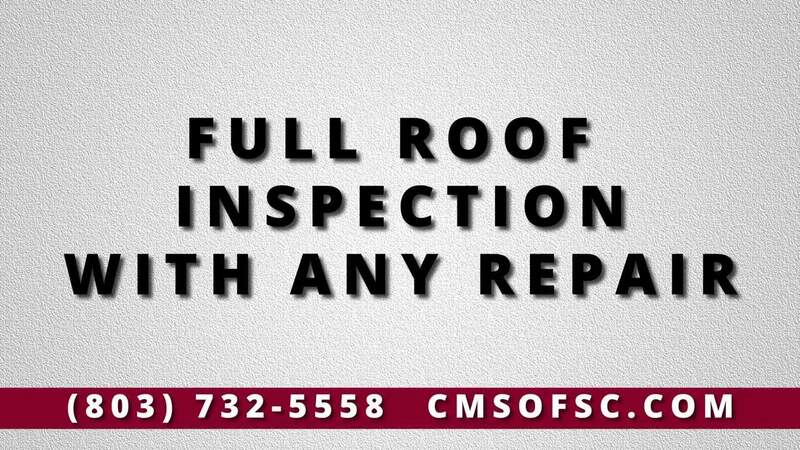 Contact CMS Roofing today to learn more about our services or to schedule a roof inspection and receive a free, no-obligation quote.